Tom Hardy has been confirmed to star alongside Leonardo DiCaprio in the Western revenge thriller The Revenant, just days after we reported he was in negotiations. Tom Hardy had actually been circling the project for the past few weeks, although he needed to work out scheduling issues before signing on. The Revenant is based on the Michael Punke novel of the same name, which follows a fur trader in the 1820s named Hugh Glass (Leonardo DiCaprio). When Hugh is mauled by a massive grizzly bear, he is robbed and left for dead, although he manages to somehow survive and goes on a journey to get his revenge against the men who stole from him. Will Poulter is also in negotiations to star, although no details were given for his role, or Tom Hardy's character. Alejandro González Iñárritu is directing from an adapted screenplay he co-wrote with Mark L. Smith (The Hole), with Steve Golin, Keith Redmon, David Kanter, Arnon Milchan and James W. Skotchdopole producing. Shooting is scheduled to begin this. The project serves as a reunion for Tom Hardy and Leonardo DiCaprio, who both starred in Christopher Nolan's 2010 thriller Inception. 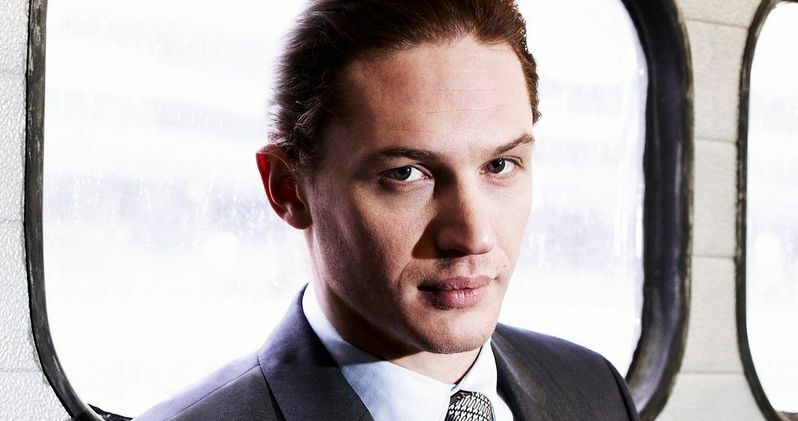 Tom Hardy is coming off the critically-acclaimed indie Locke, and he will next be seen in The Drop.